For people with diabetes, overnight fasting—sometimes for 12 hours or more—can lead to low blood glucose levels or hypoglycemia in the morning. These diabetic breakfast tips can help. A healthy diabetic breakfast forsakes the sugar- and carb-laden bagel for fruit, whole grains, yoghurt and oatmeal. Approach your breakfast mindfully, steering clear of sugar and processed food. You’ve heard the saying that breakfast is the most important meal of the day. This is based in part on studies showing that breakfast can help jumpstart your metabolism for the day and on studies that have demonstrated an association between skipping breakfast and being overweight. As you fast overnight, your body maintains blood glucose levels by breaking down glycogen stores. If these stores become depleted and your night-time glucose-lowering medications are still active in the morning, you may experience dangerous episodes of hypoglycemia. For a diabetic, breakfast can be especially important. 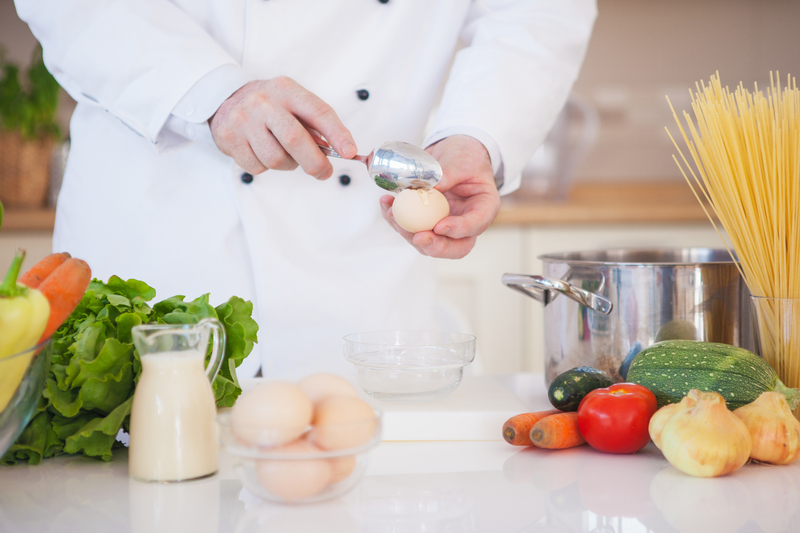 Here, we offer tips on the best type of morning meal— a diabetic breakfast —for anyone trying to keep diabetes under control. Even if you do not experience significant hypoglycemia in the morning, there are other reasons to incorporate breakfast into your daily routine, whether you have diabetes or not. Evidence suggests that people who skip breakfast tend to overeat at lunch, potentially leading to spikes in their blood glucose levels. Studies have also shown that spreading your consumption of carbohydrates, an important energy source, throughout the day leads to better blood glucose control than eating them all in a shorter period of time. An Israeli study published in January of 2015 demonstrated the importance of breakfast for people with type 2 diabetes. They monitored the blood glucose levels of study participants with type 2 diabetes on days when they did and did not eat breakfast. The meals they ate for lunch and dinner were identical in both the nutritional profile and calorie content on all days. 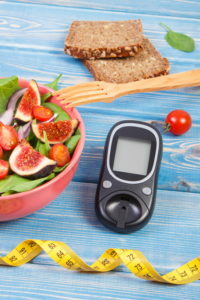 They noted that on days when participants skipped breakfast, their blood glucose levels were on average 37 percent higher after lunch and 27 percent higher after dinner than on days when they ate breakfast. With the evidence strongly in favor of including a good diabetic breakfast in your daily meal plan, it then becomes important to think about what foods you’ll choose for the morning. 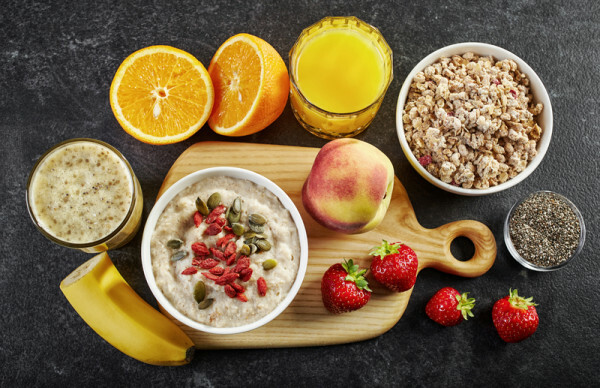 Of course, not all diabetic breakfast options are the same, and it is especially important in diabetes to make smart choices that won’t result in blood glucose spikes. It is also important to remember that diabetes is a risk factor for heart disease, so limiting your saturated fat and sodium intake is critical. Egg whites and tomato, mushroom, onions, and peppers make a great diabetic breakfast. A serving of unsalted nuts and fresh fruit. 2 diabetes, blood glucose levels, breakfast, can diabetics eat fruit, diabetes, diabetic, diabetic breakfast, diabetic food list, diabetics, diet, fiber, food, fruit glycemic index chart, glucose, glucose levels, Glycemic index, glycemic index chart, health, health news, heart disease, Lose Weight, metabolism, nuts, people with diabetes, protein, skipping breakfast, sugar, type 2 diabetes, university health news, whole grain, yogurt.